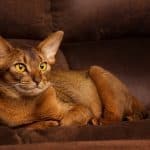 It’s natural for cats to scratch, but when your furniture is at stake you need to consider some measures to protect your leather furniture at all costs. Providing your cats with alternative options is the best way to prevent them from scratching. Some practices like trimming their claws or giving them soft bedding or scratching toys will also do the trick. 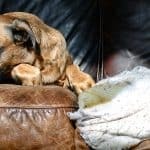 Here are other ways you keep your furniture safe from your furry friend. Trimming your cats’ claws is one way to prevent scratching. Whether you take your cats to a pet groomer or a vet clinic to have their claws trimmed, the technique can reduce their stimulation to tear the leather. Cats usually enjoy scratching and sharpening. With shorter claws, these habits will be less appealing to them. Even if they attempt to scratch the surface of your leather furniture, their trimmed claws won’t puncture or tear the material. It’s also essential for you to cover your furniture as cats are mostly attracted to leather. They can sink their claws into the leather as they find it stimulating and fun. The leather also has strong scent which draws cats in. When you place a thick plastic cover over the surface of your furniture, the cats’ thrill of scratching will be reduced. Cats are known for destroying furniture, but this is a common misconception. They don’t know what they’re damaging and they’re only after the enjoyment that scratching provides. If you take away the pleasure, your cat will look for the next best thing that they perceive to be fun. For cats that regularly engage in scratching, placing a series of scratching posts will do the trick. Be sure to put them in a location where your cats commonly play. Scratching posts are a good way to get your cats’ attention. Scratching posts can also be a form of training for your cats, but you shouldn’t expect your cats to adopt right away. During the course of training, you need to be patient. Attach a toy to poke their curiosity. Direct engagement by means of playing with your cat is one way to distract your pet. You can also introduce new toys or give your cats warm and soft bedding to divert their attention. Cats tend to be fixated on your leather furniture due to lack of play options. Your cat will return to what it considers to be a toy if you don’t provide an alternative. While it may take some time for your cats to get used to a new routine, you should not force it to use a scratching post by running its paws up and down the scratching post. This attempt can scare your cat away and may even cause it to avoid the post. If the scratching post becomes shredded and torn due to scratching, don’t throw it away. It may no longer be appealing but it doesn’t necessarily mean that its worth is gone. Cats still prefer a torn post. Removing it can compel your cat to return to the leather furniture. Be sure to modify your cat’s behavior as early as possible to prevent untimely furniture replacement.